At Otto-Eldred Elementary School, learning incorporates much more than just the core academic subject areas. Library, STEM, music, physical education, and art are important keys in developing well-rounded students. Even if our students don’t go on to become professional authors, engineers, artists, athletes, or musicians, we’re confident that their exposure to these activities opens their minds to the beauty our world has to offer—something that will stay with them for a lifetime. Otto-Eldred Elementary School assesses skills acquired at all grade levels per each special area. Students in grades 4-6 will receive a formal assessment grade on their report card for the first semester (2nd nine weeks) and 2nd semester (4th nine weeks). The grade will be in the form of O = Outstanding, S= Satisfactory, and U= unsatisfactory. We base these grades on skills that the student acquires in all special areas, otherwise known as "I Can" statements. We’ve provided the specific "I Can" skill areas under each specials tab below. 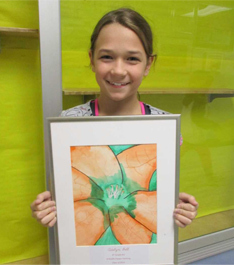 Also, we have a school art gallery online at Artsonia.com. You may search Otto-Eldred School District to find our students’ artwork. We have hundreds of images online and are very proud of what our students have created. If you’d like any more information about our art program, please contact our art teacher, Tammy Maxon. We’re proud to offer a variety of quality library/media services for our students. Our school library has an array of technology to keep up with the needs of today’s students. Be sure to check out our library catalog. Please feel free to contact our library media specialist, Rachel Burkhouse with any questions. Fifth and sixth grade students have the opportunity to learn how to play a concert band instrument. Each student receives a 20-minute lesson, once per six-day cycle. Tuesdays and Thursdays from 7:50 - 8:20 a.m. If you’d like any more information about our band program, please contact band director, Amber Webster. The Otto-Eldred Elementary Chorus welcomes all 5th and 6th grade students who love to sing. Throughout the school year, students learn many different genres of music and enjoy opportunities to contribute and create as a team. Students showcase their skills in two fun and exciting concert performances during the school year. Wednesdays and Thursdays from 7:50 - 8:20 a.m. If you have any questions about our chorus program, please contact our music director, Kylie Geci. Office Hours: 7:50 a.m. – 3:30 p.m. The K–6 physical education program at Otto-Eldred Elementary is an integral part of the total education experience. We place a high priority on our students’ health and creating a fun environment. Our well-balanced program offers students the opportunity to develop their fitness level and coordination. If you have questions or would like to learn more, please feel free to contact our health and physical education teacher, Amanda Davis. Office Hours: Monday–Friday 8:00 a.m.–11:00 a.m.
Winter Band & Choral Concert on December 13 Otto-Eldred High School Auditorium at 7:00 p.m.
Spring Band Concert on May 10 at Otto-Eldred High School Auditorium at 7:00 p.m.
Spring Choral Concert on May 3 at Otto-Eldred High School Auditorium at 7:00 p.m.